As part of the greater Theater Counter Mine and Maritime Security Exercise to ensure maritime stability and security in the U.S. Central Command area of responsibility, Naval Amphibious Force, Task Force 51/5th Marine Expeditionary Brigade (TF 51/5) will conduct a two-week Theater Amphibious Combat Rehearsal (TACR) in international waters off the coast of Djibouti scheduled to begin Sept. 8, 2018. TACR enables the integration and synchronization of TF 51/5’s warfighting capabilities and those of adjacent U.S. Naval Forces Central Command and special operations forces. 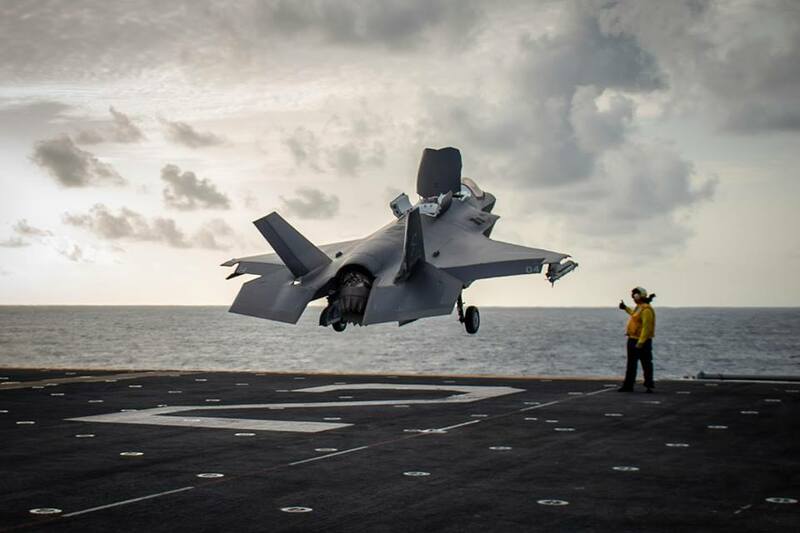 TACR provides our U.S. Navy and Marine Corps team the opportunity to execute complex missions at sea, from the sea and ashore. Approximately 4,500 U.S. Marines and Sailors will participate in the integrated amphibious training, which will include simulated air defense training, mine countermeasure training, quick-reaction force drills, deck landing qualifications, tactical recovery of aircraft and personnel rehearsals as well as visit, board, search and seizure exercises during this iteration. The Essex Amphibious Ready Group comprised of Wasp-class amphibious assault ship USS Essex (LHD 2), San Antonio-class amphibious transport dock USS Anchorage (LPD 23), Whidbey Island-class amphibious dock landing ship USS Rushmore (LSD 47) and embarked 13th Marine Expeditionary Unit (MEU) are scheduled to participate. The Essex is the flagship for the Essex Amphibious Ready Group and, with the embarked 13th MEU, is deployed to the U.S. 5th Fleet area of operations in support of naval operations to ensure maritime stability and security in the Central Region, connecting the Mediterranean and the Pacific through the western Indian Ocean and three strategic choke points. 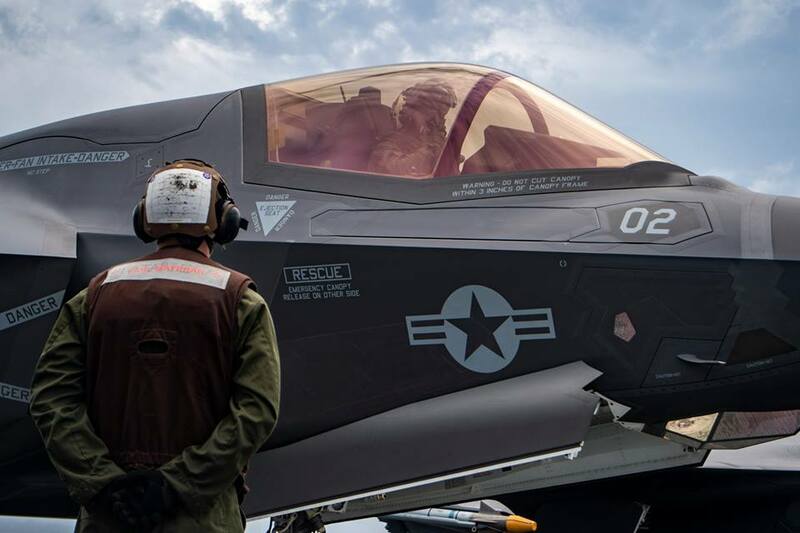 For the first time the F-35B Lightning II with Marine Fighter Attack Detachment 211, 13th MEU, will participate in TACR. This also marks the first operational deployment of this aircraft in the region. 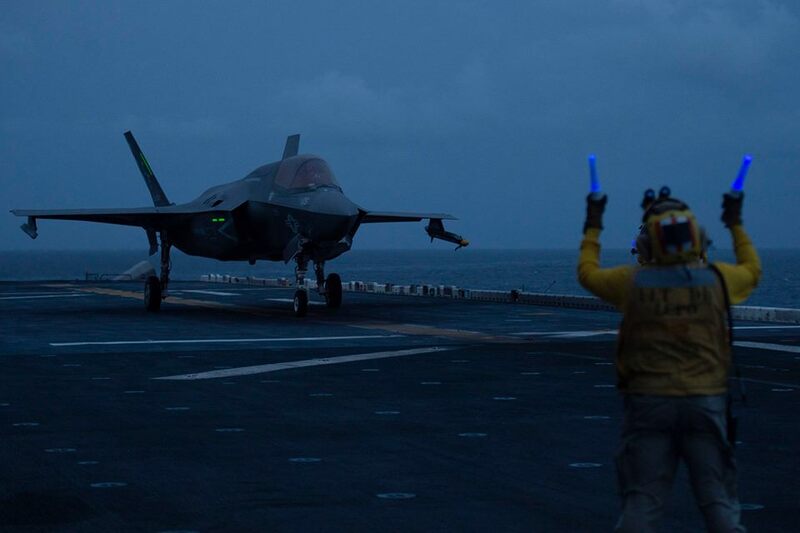 “TACR allows us to demonstrate the enhanced capabilities and tactical lethality that embarked F-35Bs on an ARG bring to the region,” said Col. Chandler Nelms, commanding officer of the 13th MEU. TACR serves as a key rehearsal for U.S. 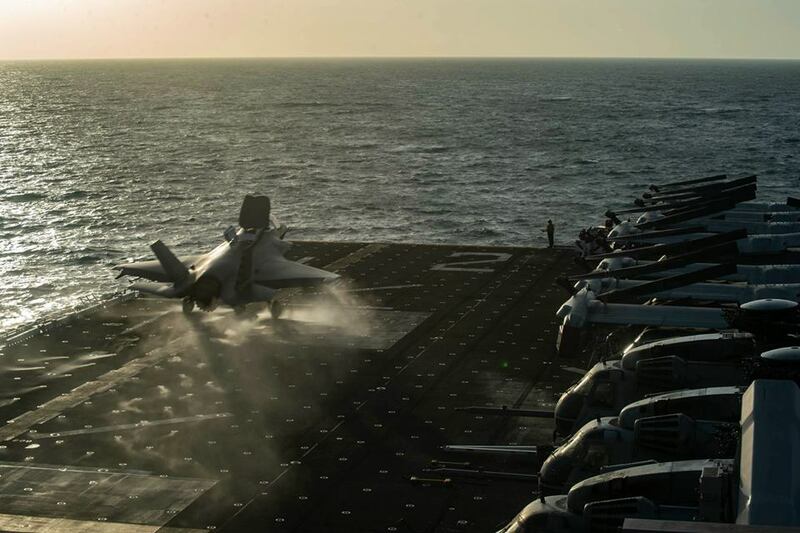 Naval forces entering the U.S. Central Command area of operations and enables them to conduct critical operations in one of the world’s most volatile regions.